The big move – Find me on AGU blogs! Hello loyal followers: I have the great honor of announcing that the American Geophysical Union will now host my blog. AGU is a preeminent global society dedicated to supporting, disseminating, and advancing Earth science. They run a number of the most prominent Earth science academic journals and annually host–among a number of smaller regional conferences–the largest Earth science conference on the planet. As part of their outreach efforts they have assembled the AGU blogosphere, a group of passionate science bloggers with the itch and ability to discuss science, from how it’s done to what it shows to how it relates to you and the rest of the world. It is with honor that I join their ranks, and look forward to the opportunity to share my passion for things seismological through an outlet that will open the discussion to scientific and public audiences alike. The new URL is http://blogs.agu.org/tremblingearth and all of my posts have been migrated there! Find me on AGU blogs! 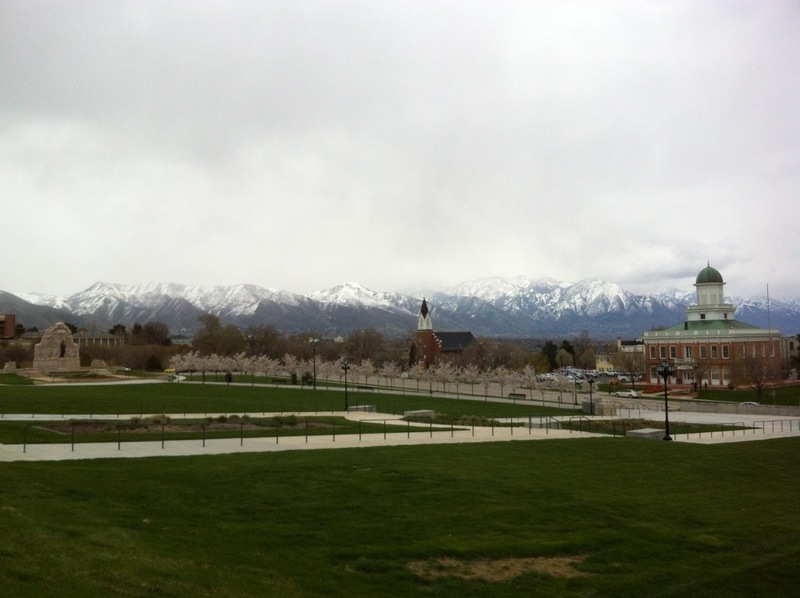 The Great Utah ShakeOut – this morning 10:15am! Today at 10:15am Mountain Daylight Time (UTC -8) tens of thousands of Utahns will Drop, Cover, and Hold On in a massive earthquake drill set to alert the state to the dangers posed by its numerous fault lines. The Utah ShakeOut is one of many large-scale earthquake scenario exercises (drills) that take place around the country and around the world. It is sponsored by a whole host of federal agencies and corporate partners, and involves not only voluntary public participation but coordinated inter-agency exercises to simulate a post-quake response in the state. Scientists have calculated a number of potential earthquake scenarios for Utah, compiled here. 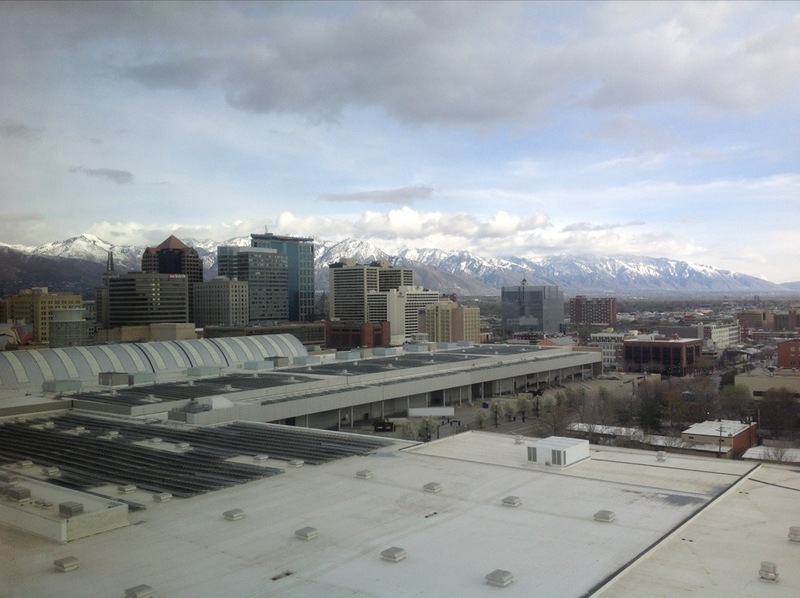 A quake on the Salt Lake City segment of the Wasatch fault is the most destructive example, but the state is littered with earthquake faults, and so destructive earthquakes could happen anywhere. Apologies for the tardiness. I suppose for some of you this is Sunday evening reading, if that’s what people even do on Sunday evenings. Maybe for those of you hunkering down in the U.S. midwest. Here are two weeks’ worth of seismic tidbits I posted on Twitter, since the first week was a little dry. Catch up on all things quakey! In oh-so-foreseeable news, Italian officials are now trigger-happy with evacuation orders in the wake of the manslaughter conviction of seismic hazard officials. Caution is good… but, this is why we have legends like the boy who cried wolf. How do you scale down faults so that you can understand their frictional and mechanical behavior in controlled tests? Popular Science has a neato infographic on the equipment used in rock mechanics tests–earthquake laboratories. YouTube user KOJI PEI posted a video showing a real-time (actually ~2 or 3x speed) animation of shaking intensity at each of Japan’s seismometers during this quake. I’m not sure where this video came from nor how specifically it was generated (it appears to be maximum acceleration averaged over a several second time window), but I’m hoping to find out and to find more like it. You can see seismic waves radiate outward from the epicenter, with the relatively gentle P-waves leading the charge, and swishy S-waves ringing outward behind them. Seismic engineering – For your Office, Museum, or Bedroom! Scaled down base isolators can secure servers, lab apparati, antiques etc. on specialized tables. The principle of base isolation is already successfully applied in buildings around the world, and this mini-version may be hugely popular with companies and museums whose equipement and specimens need to be seismically protected. One of the commenters also has some insightful things to add, including the major deficiencies in maximum displacement and vertical protection. Big news on a big move this week – I’ll update you all shortly! Here’s the second installment of my now weekly series in which I compile all the neat-o earthquake things I’ve relayed via Twitter over the prior week. 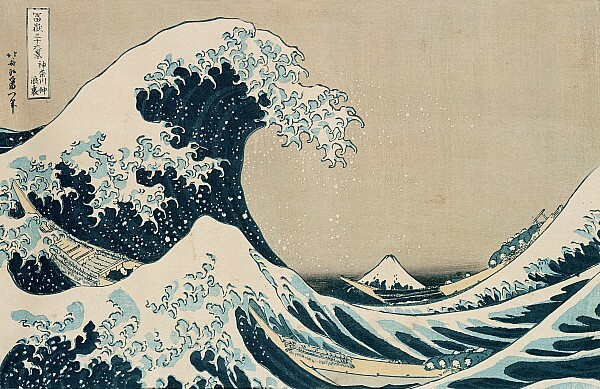 From March 24-30, the U.S. National Oceanic and Atmospheric Administration (NOAA) and Federal Emergency Management Agency (FEMA) teamed up to raise awareness of tsunami hazard, assembling a huge number of resources. Get informed about the tsunami risk to your coast line, and learn what you should do–I compiled their compilations here. There were some notable earthquake anniversaries this past week: in 1983 a hefty jolt shook Portland–the “Spring Break quake.” In 1964, the largest earthquake in North America’s modern history, the M9.2 Good Friday earthquake, shook Anchorage for several minutes, jostling loose all kinds of landslides and faults, and sent a massive tsunami racing across the Pacific. A paper was published this week documenting the striking correlation between the timing/location of damaging earthquakes and the timing/location of industrial fluid injection. Oklahoma has this problem, Arkansas has this problem, and the Netherlands has this problem. Earlier this year, the government of Turkey initiated an urban renewal project in Istanbul that will replace deadly apartment blocks with housing built to withstand their inevitable temblor(s). …and one from the M6.5 that jolted Taiwan earlier this week. In potentially the most important earthquake-related development of the week, we learned how the Parmagiano-Reggiano industry recovered from a devastating earthquake that struck almost a year ago and wrecked millions of dollars worth of cheese. See you next week! Or hopefully before then. Happy reading. Join in the fun and get these in real time @TTremblingEarth on Twitter! This week the United States has been recognizing National Tsunami Week, an awareness campaign by NOAA, the USGS, FEMA, and a whole host of other emergency response agencies to ensure that the American public is aware of the tsunami hazard facing our coasts, and that we know what to do about it. The bottom line is that we face threats on all fronts, although they’re greatest along the Pacific shore. Local megaquakes in the Pacific Northwest will one day wash torrents of water ashore in Washington, Oregon, and Northern California. More frequently than that (we have two examples from this decade alone), giant quakes elsewhere around the Pacific will send tsunamis racing across the ocean to flood our shorelines and swirl around our harbors. Large quakes in the Caribbean and landslides out in the Atlantic pose a tsunami threat to our Gulf and Atlantic coasts. NOAA maintains several tsunami warning centers (including Pacific and West Coast/Alaska), and we’re ever striving to improve our detection capabilities as well as inform the public. Take the opportunity to inform yourself this week, and “be Tsunami Ready!” There are tons of resources, listed below. NOAA’s Center for Tsunami Research has a ton of cool models and animations (their YouTube channel is chock full, at YouTube.com/noaapmel) that represent the best measurements and calculations from actual tsunami events that have happened. One recently released model shows the best estimate of what happened during the Good Friday earthquake of 1964 in Alaska. The tsunami from that quake ravaged the U.S. coastline in Alaska, Hawaii, Washington, Oregon, and California and caused fatalities. Get informed! These things happen. On Monday morning this week, a wide swath of southern California–from L.A. to Needles to Calexico–was gently jolted by a modest M4.7 earthquake from the San Jacinto fault. 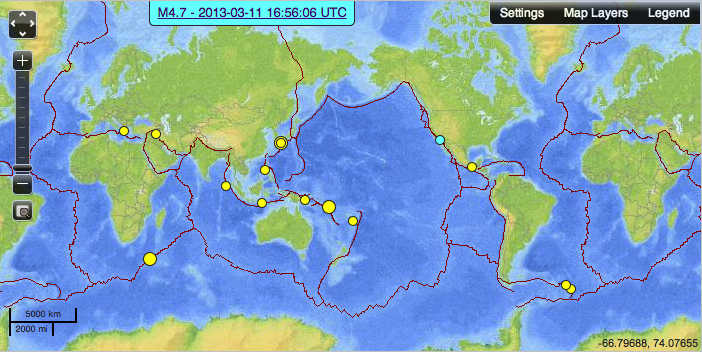 The screen grab below shows all M4+ earthquakes that occurred on March 11, 2013. Most of these went unnoticed. Some were felt by many, but didn’t receive the (U.S.) coverage of the SoCal tremor. I love seeing the bimodal reactions of southern Californians to an earthquake of this size. No doubt the unnerving sensation of the ground suddenly shuddering beneath you is frightening to many, but there seem to be just as many who could scarcely care less. Southern California news media pounced on it, looking for any harrowing story of alarm or toppled tchotchkes, but came up predictably empty handed given the light and fleeting nature of the shaking. One of the big stories was that this tremor served as a further successful natural test run of California’s nacent Early Warning system, thus far only shared among a handful of scientists while it awaits further successful tests without alarming the public. The other interesting facet of the quake was the initial determination of its location and magnitude, which was ironically marred by having a sizeable precursory foreshock, a sizable and immediate aftershock, and great instrumental sensitivity/coverage. At the outset, seismic waves from the foreshock and aftershock, which were separated from the mainshock by 16 and 51 seconds, respectively, tricked the automated system into mislocating the source and origin time of shaking. Initially the USGS identified three earthquakes with magnitudes ranging from 4.7-5.1 that occurred within two minutes of each other. Of course to most of the populace that distinction in the wavetrain would have scarcely been discernable. It was moot anyway, because as the system and seismologists further processed additional data the true sequence of events became clear. A 2.3… 16 seconds… a 4.7… 51 seconds… a 3.0. Meanwhile the shaking from each of those was rippling outward through the L.A. region and desert, overlapping with each other in their rattling. This confusion is an interesting artifact of having a great, quickly responsive seismic network… that’s not quite dense enough to pick out the details of everything it detects right away. Southern California’s dense seismic network allows detection of minuscule earthquakes, so there is a rich foreshock and aftershock sequence evident surrounding the mainshock hypocenter. Viewing the list of foreshocks makes me intensely curious about the nucleation process of larger earthquakes. By the way, “Shake-Up Call” is totally in. February: What a month to miss! I have finally returned and settled back into life in a quiet NorCal college town after living for a month in the bustle of Beijing, where I conducted four weeks of lab work for my dissertation project. 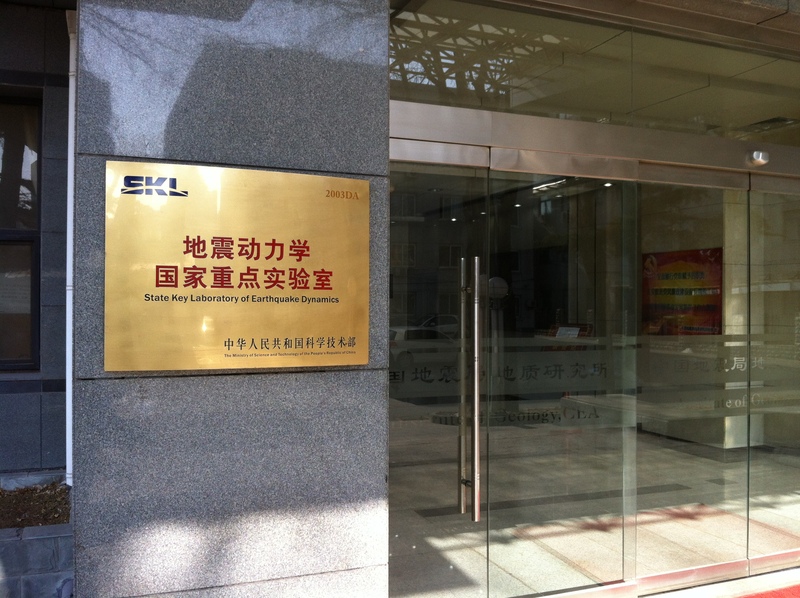 I spent my time there working with and in the lab of colleagues at the China Earthquake Administration, a collaboration that I’ll describe in more detail in a later post. Stuck on the other side of the Great Firewall from Facebook, Twitter, and even WordPress, I missed a great deal of the global online fun during some major Earth-shaking events that happened during February. It killed me deep inside, though I had my own great time in Beijing. The month began with a monstrous earthquake in the South Pacific, the culmination of weeks of foreshocks in an area that has seen a years-long sequence of large and fascinating ruptures. The M8.0 quake produced a local tsunami that wiped out some villages, and was followed (and continues to be) by hundreds of sizable aftershocks. One of the most interesting aspects of earthquakes is the complex way in which fault ruptures unfold–in both space and time–and the Solomon-Vanuatu Trench has undergone a marvelous sequence. The next big news was an “earthquake” in North Korea. The Earth did indeed quake, with the strength of a 5.1, but the seismic waves were generated by a huge atomic explosion, not the volume-preserving double-couple of tectonic slip. The CTBTO detected this detonation immediately on instruments worldwide, and, decidedly unconcerned with hiding this from anybody, North Korea quickly proclaimed their third successful nuclear bomb test. The next rare and global seismic event was not Earth-derived at all: a surprisingly large and exceedingly rare meteor strike rocked the countryside of central Russia, and BOY was it ever captured on film. Thank goodness (or insanity, actually) for Russian dash-cams. Who knew a meteor sounded like that?? They’ll have to remake Deep Impact. The shockwave from this extremely supersonic space rock was large enough to buffet pressure gauges on the other side of the planet, and the shockwave’s interaction with the ground excited seismic waves that also spread through the planet. While I was in China, the south of the country had a strange spate of moderate earthquakes, at least one of which proved a successful test of their new Early Warning System. In rural parts of that country many buildings cannot withstand the shaking of even a magnitude 5 earthquake, so these were a bigger deal than they might otherwise have been given the size. Other seismological things are happening–Christchurch is debating retrofits, for example–so I’ll just have to keep you posted. Glad to be back; you can finally expect more posts in the future!